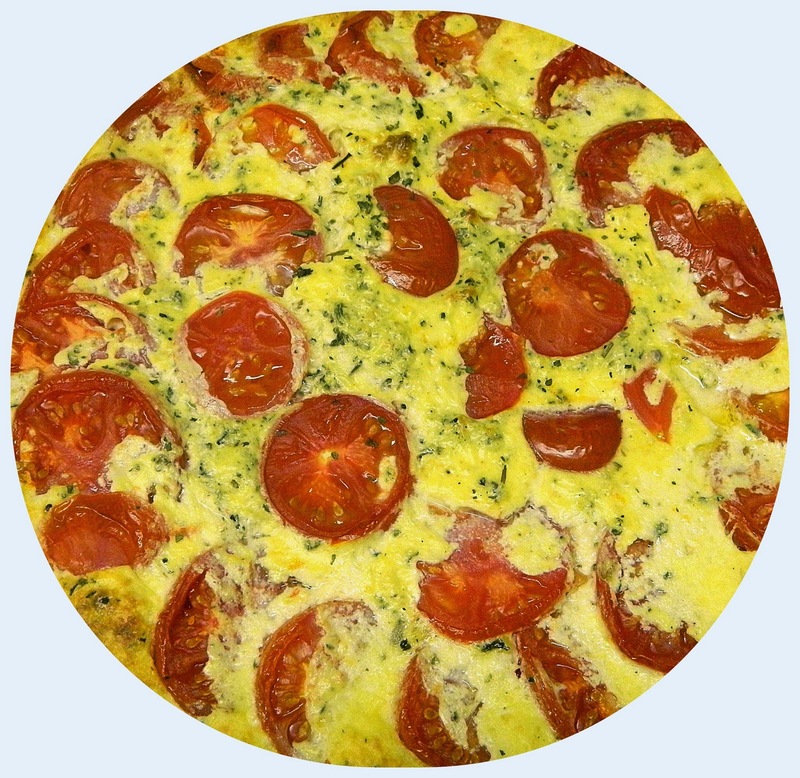 This was described as a cross between a frittata and a quiche. I like both. Despite that, I found this to be eggy and I would cut down to two eggs, next time. The tomatoes gave life to the dish and it is a wonderful way to use tomatoes when you have a summer crop. I know, it is winter, but both hubby and I brought home tomatoes and there is a limit to how many I can use. In a large bowl, whisk ricotta, eggs, parmesan cheese, salt and pepper until blended. In measuring cup, stir milk and cornstarch until smooth, then whisk into cheese mixture. Pour mixture into nonstick 10-inch skillet with oven safe handle. Arrange tomatoes on top, overlapping slices if necessary. Bake pie 35 to 40 minutes or until lightly browned and set around edge with puffed center. Your Crustless Tomato Pie looks scrumptious, Chaya! I've pinned it and look forward to trying it soon! Thank you for sharing it with us at the Hearth and Soul hop. Looks good, but if it was eggy I'd have to cut back too. I have a weird thing about eggs! I do love tomatoes though!